We’ve already shown you how to create your own viral website. Now it’s time to learn how to make money with it. It’s not as hard as you may think. In the earlier article, we covered the key aspects that will determine the success of your viral website, like why it’s important to use a content delivery network, how to get content without violating Google policies, and how to make sure you get accepted into the AdSense program, which is going to be your main source of income. Okay, so we’ll assume your viral website is up and running. Your focus now has to be on driving traffic to your site and monetizing it. Not with this strategy. We won’t be focusing on SEO, which isn’t an important factor for your viral site. It takes too much time and too many resources to rank high a viral marketing site. Besides, the stiff competition complicates things further. So just don’t bother about it. Paid advertising. Yeah, you’ll need some money to get started, at least $500 to $1,000 a month, but you’ll recoup your investment if done correctly. Traffic Arbitrage is actually all about driving visitors to your site and monetizing them. You buy and then sell traffic for a profit. The principle behind is that you buy traffic at a low cost and turn it into out-going paid traffic. For example, if you pay say $0.01 per click meaning get 1 visitor to your viral website. That means if you spend $10 you’ll get 1,000 visitors to your website. Then you’ll need as many of these 1,000 visitors to click on the ads on your website. So in an ideal situation, you’ll have a profit of $5. But of course, that’s an ideal situation where you get a 5% CTR and $0.30 per click from Adsense. In most cases probably less. It’s also quite hard to achieve a $0.01 CPC to drive people to your website. So how do you earn? Hang on, we’ll get to that in a minute. For now, you need to understand the first fundamental of the concept of monetizing a viral website – find the cheapest means to get people to your website. Let’s explore some of the cheap CPC sources where you can drive people to your viral website. Take note all your traffic sources have to be legit. AdSense doesn’t like bots or other shady traffic sources. Google will figure them out in no time and you’ll get banned by AdSense. Facebook Ads are a great way to get a lot of cheap traffic. They are easy to set up and manage, and you can adjust them on the go as you see fit. You do need to optimize your facebook ads to ensure their relevancy score is high, so that you pay as little as possible per click. Without this optimization, Facebook Ads may become too costly to be sustainable in the long term. Another great yet cheap traffic source can come from content distribution networks or content discovery platforms like Outbrain or Taboola. The advantage of using these sites is a low cost-per-click. One thing to note is that in your case, the landing page should not be a business or product page, but rather a content page. Joining at least one content distribution network will bring more traffic to your viral website, but the main traffic source for you should be Facebook. It’s cheaper and offers you a lot more flexibility. Start with Facebook Ads and extend your reach to CDNs depending on your budget and the results you’re seeing. CDNs are pretty smart and chose what content to display dynamically, so you don’t have to manage them. With Facebook Ads and one or more content distribution networks running for you every day, your site should be getting enough traffic for you to start monetizing it. Don’t worry about maximizing your traffic yet — you’ll do that over time by watching, testing, and comparing your ads. Let’s now turn out attention to how you can turn your existing traffic into money. As discussed earlier, always remember Adsense is your best friend as its your primary revenue driver. Among all advertising networks for publishers, Adsense gives the best fill rates and best payouts. Remember our earlier assumption for the calculation? We’re coming back to that now. While AdSense is your main source of income for your viral website, it may not be enough to cover your advertising spend. CPM Ad networks can compliment AdSense. They pay base on a set number of impressions (CPM), regardless of clicks, which makes for a steady source of money. But there’s a catch. Ad networks that pay by impressions require you to have a lot of traffic (think at least 200,000 visitors each month), so you won’t be able to join them straight away. Considering that we’re aiming for $0.01 per click / visitor to your website. You should be able to attain the minimum threshold over a short time. Media.net, Taboola, and Outbrain are some good options to try signing up to as a publisher. So we’re still making a loss of $4, because we spent $10 getting visitors to the viral website. However if we add in a CPM ad network into the mix, you’ll probably be earning an additional $2 – $4 per 1,000 visitors. This will at best let you break even. Let’s push this even further, and here comes the most important part. Getting people to share your content. After all, that’s the whole idea of creating a viral website right? After running your ads for sometime, you should see a difference in the paid clicks to your site, and the visitors. Assuming 1,000 people come to your viral website, and assuming your content is “share worthy”, a handful of people would share your article on social networks. If you’re doing everything right, you should see about 20% more visitors going to your website as compared to the paid clicks. For example, if you’re getting 1,000 clicks from your Facebook Ads, you should see about 1,200 visitors in your Google Analytics. 1,000 comes directly from the Facebook Ads, while the other 200 visitors are resulting from people sharing the article. Let’s re-look at the numbers. This time say we spend $100 on Facebook Advertising. An 8% profit may not seem a lot, but considering you don’t have to slog many hours each day and based on the logic above there’s no cap to how much you can earn. The more your invest means the more you earn. The watch out here though, is CPM Ad Networks and Adsense pays you at the end of the month, or 2 months later. Depending on the payment cycle. Whereas you’d most likely need to fork out money upfront to drive traffic to your website. The above are relatively conservative assumptions. With constant test and learn, constant optimizing of your viral website like finding the best positions for your adsense banners, share buttons, etc, you should be able to bring up the revenue. Over time you should also be collecting emails and increasing fan count on your Facebook fan page. These would be good boosts getting you free traffic over time. Whatever some may say, there’s no formula for creating a viral article. No shortcut. No secret trick. A piece of news that you think could go viral may not get more than a bunch of views, and hardly any shares. Another piece of news that you had no hope for may actually kickstart a sharing frenzy. Content can be that unpredictable. Going with your gut feeling isn’t the best strategy. You won’t only get things wrong, but you’ll feel frustrated after. 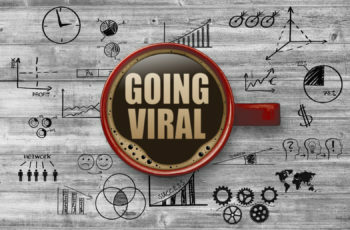 You may lose heart and drop your viral marketing site altogether, which is what often happens. There’s a better way to make content work for you — test and learn. Here’s how. Drive traffic to one article and monitor the performance. You can use Facebook as your main traffic channel as it makes it easier for readers to share the article if they like it, and so increases the chances that it will go viral. You need to aim for $0.01 per click for Tier 1 countries. Then you should to drive about 1,000 clicks in three days in order to get the momentum for the article to go viral. Run the test for about five to seven days. Anything less than this and you won’t be giving your content enough time for Facebook to optimize. Make sure your Google Analytics and AdSense accounts are linked together. This brings you a wealth of new information about your ads and your site. If the article goes viral, you should see the number of people landing on your page way exceeding the number of ad clicks (sometimes more than 10x the ad clicks). If by Day 5 your landings and clicks are still the same or less, kill the campaign, then pick up another article and start the same test over again. It may seem like a cruel thing to do, but it’s a strategy that works. Keep on at it. It will work. It may not be the second time or the third, but each new time you’ll get a better idea of what is most likely to work. It may take you 10 or 20 tests before getting an article that goes viral. But don’t let that discourage you. When you hit on an article that does go viral, it’s satisfaction guaranteed. And you’ll be making a lot of money, too. nice article. Which ad network is best and trusted for CPM? maybe you could try networks like outbrain or taboola. Media.net is also a good alternative. But you need lots of traffic before they accept you.